The spleen is involved in about 20 - 30% of cases. The frequency of splenic involvement depends on the histologic type of Hodgkin Lymphoma. The splenic hilar nodes and para-aortic nodes are involved in 50% of Hodgkin lymphoma patients with splenic disease. 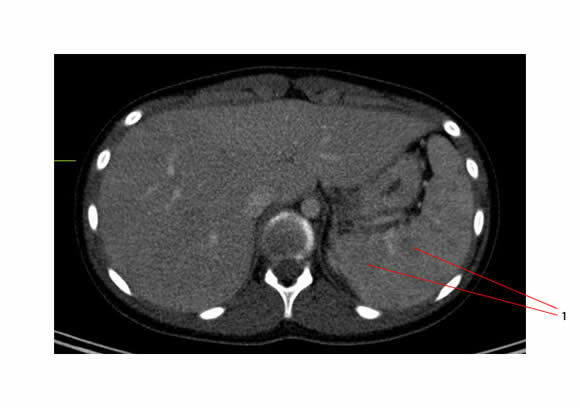 Below is the axial CT image showing multiple subtle splenic hypodensities secondary to HL. 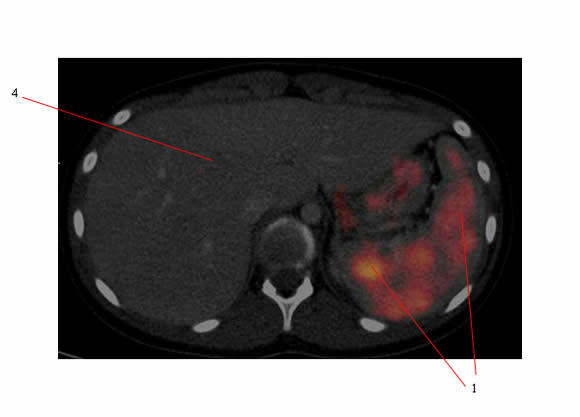 Below is the PET/CT (same axial CT image but with the PET data blended in showing that the hypodensities are hypermetabolic). 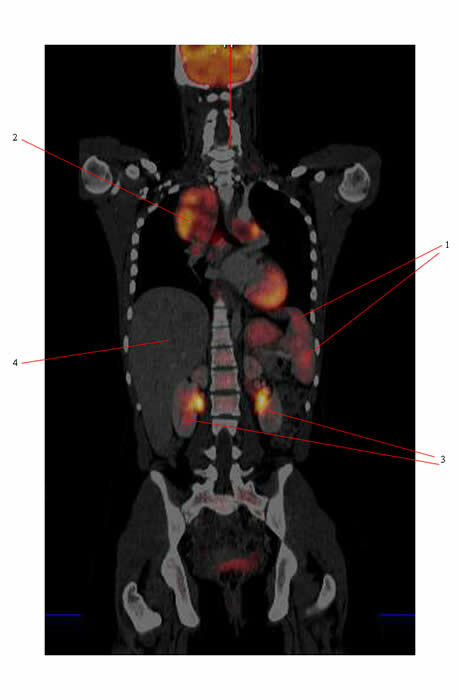 Below is the coronal blended PET/CT image.